Vegetarian. Vegan. Do those words make you shudder? Does the thought of bacon being absent from your diet make you sad? Do you wonder how you would ever get enough to eat were you to convert? I think it is safe to say that many people have had these thoughts—including me. I am not a vegetarian. I am what you might call a flexitarian…although labeling is not something I prefer. Vegetables and grains are the focus of my diet with small portions of pasture-raised meats enjoyed throughout each month. I like bacon, but I love my veggies. 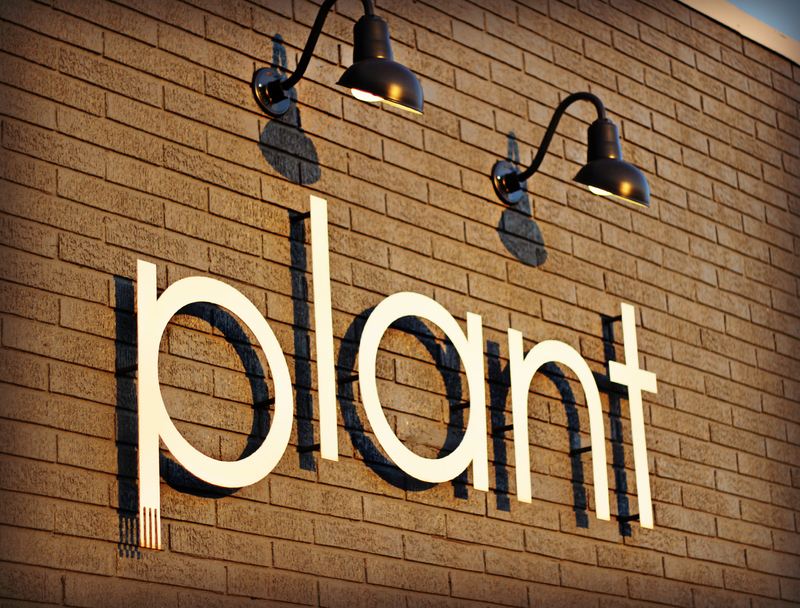 I am a sucker for creative vegetable dishes, which is why I love to eat at Plant in Asheville. We discovered Plant last summer. We were searching for restaurants that we had not previously visited. We wanted to enjoy the summer vegetable bounty in the area, and Plant seemed like the perfect place. It did not disappoint. Nor did it disappoint during our second recent visit. The space is cozy and casual with an open kitchen. 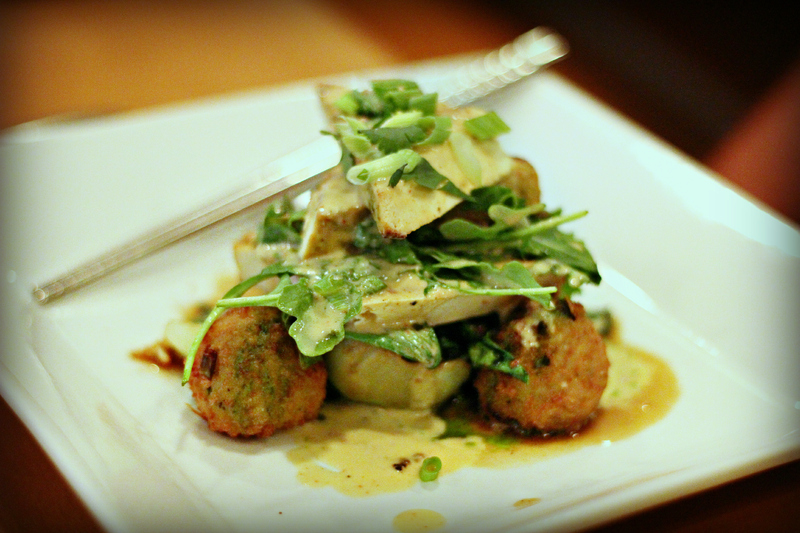 You can see Chef Jason Sellars at work creating dishes that are delectable and satisfying. 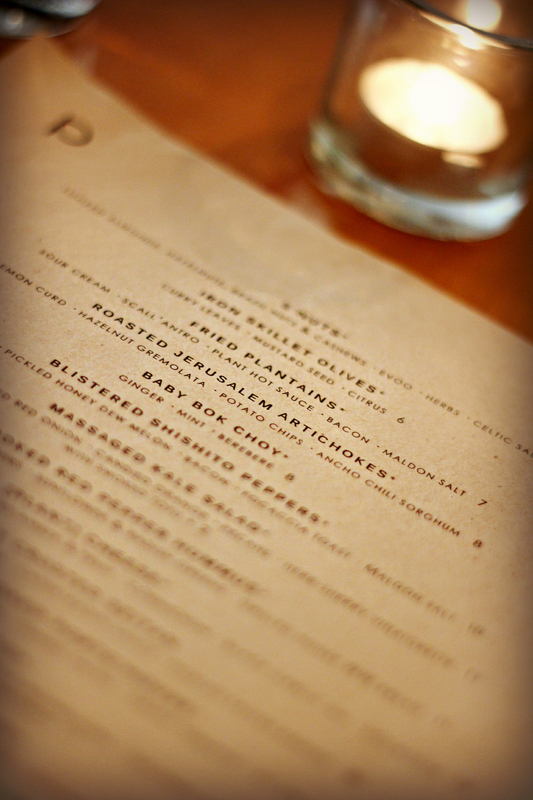 The menu changes with the seasons to provide customers with the freshest ingredients. The flavor combinations are unexpected and genius. Our meal began with the Iron Skillet Olives. 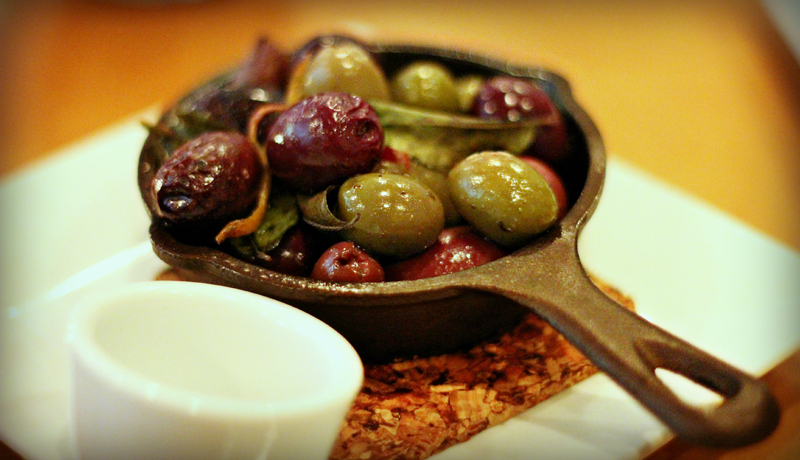 Warm marinated olives served in an adorable miniature cast iron skillet. Herbs, orange zest, and salty brine had me wondering, “WHY am I not doing this at home?” It was the perfect start to the meal. 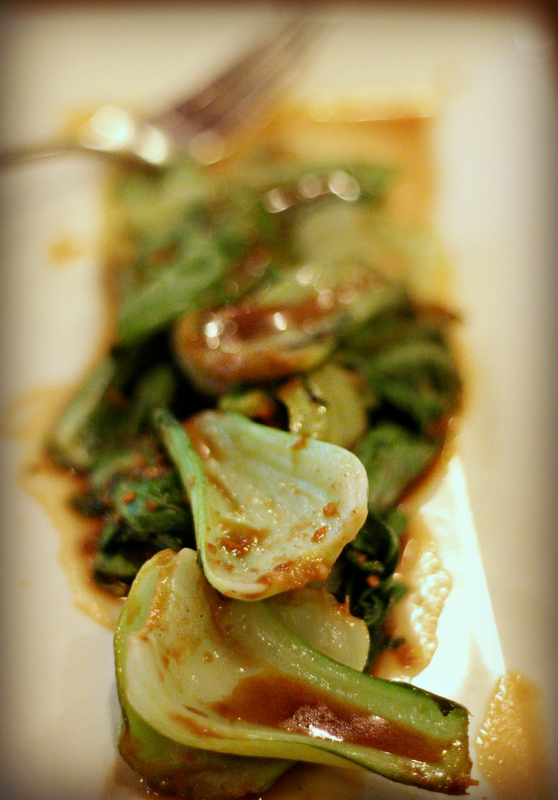 Then we split an order of the Baby Bok Choy with Ginger, Mint and Berbere. It literally blew my mind. The flavors were perfect together and really intensified the sweetness of the bok choy. 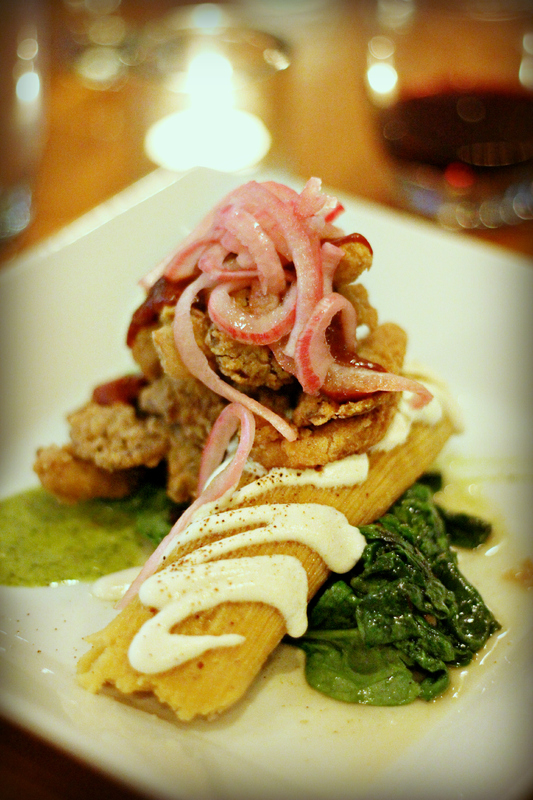 My entrée was the Oyster Mushroom Apricot Adobo, which included a poblano stuffed tamale, sautéed spinach, olives, chil- cilantro mojo, pickled onion, and sour cream. Because they do not serve any animal products, the sour cream was made from non-dairy ingredients—and was amazing! Mark enjoyed the Red Curry Tofu. This dish was a lovely combination of jasmine rice/ kaffir lime cakes, teriyaki bok choy/ Thai basil, galangal-peanut curry, and arugula. Sadly, we were so stuffed after this great meal; we had no room for dessert this time. Vegetarian. Vegan. I hope you will consider restaurants that use these words in their description. Don’t be afraid. They are satisfying and delicious. I promise. My recent visit to the Got to Be NC Competition Dining Quarterfinals had me wondering—how did this event get started and where is it headed? The founder and host was nice enough to answers these questions and a few other things I was curious about. Cookeatlife: Are you originally from North Carolina, or (like me) have you been here so long you have adopted it as your home? Crippen: I’m a Florida native. My family found Boone, North Carolina in the late 70’s, bought a farm and I became a summer resident until 1994 when my wife and I opened Crippen’s Country Inn & Restaurant in Blowing Rock, North Carolina. Cookeatlife: Did you always want to be a restaurateur? What led you to open Crippen’s and down the path to founding/hosting Competition Dining? Crippen: I was actually groomed to be a car dealer, but didn’t find it interesting. I fell into the hospitality industry by serving banquets for the Dayton Marriott in college for side money. Cookeatlife: I won’t ask about “favorites” as I know in this business that can be challenging, but I would like to know: what would your ideal meal include? Crippen: An endless raw bar. Cookeatlife: Why are farmers, NC agriculture, and locally made products so important to you? How do you feel Competition Dining supports these industries? Crippen: North Carolina has been very good to me. The people and the products made here helped me to understand that this state is like one big family. It is easy to promote what you love. Cookeatlife: How do you choose the chefs that will participate in each region? Are there specific criteria that must be met in order to participate in Competition Dining? Crippen: Restaurant Chefs are asked to apply through an open call and invitations. There is a selection committee that reviews each application. Criteria are based on many things, but some of them are use of North Carolina products on their menus, open table rankings, social media reviews, reputation on the street and the ability to promote themselves. Cookeatlife: Do you see this concept growing outside of North Carolina? Perhaps a regional (Southern or Mid-Atlantic) series? 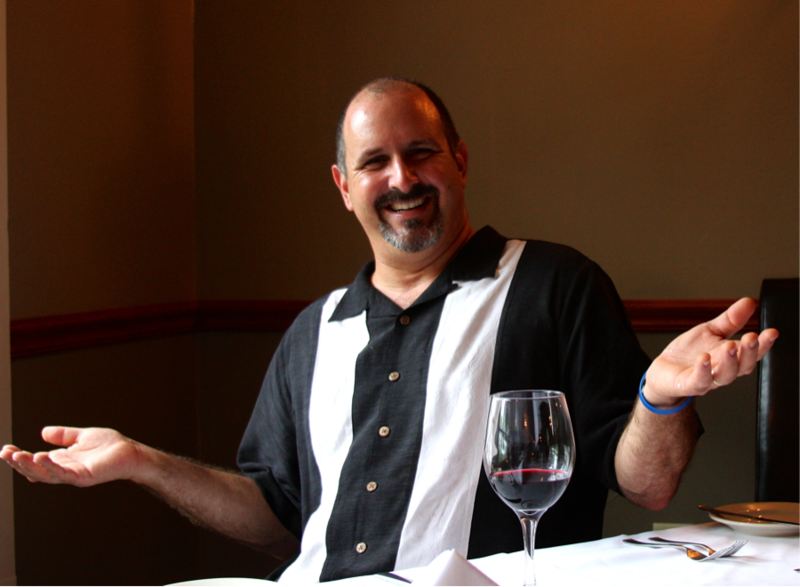 Crippen: Yes, ultimately I would like to host the World Competition Dining Series! You in?? I am totally in! Until then, I hope to catch more Got to Be NC Competition Dining Series here in North Carolina. The event moves on to Charlotte this month with Fire in the City. See you there!